Each year on the first Saturday in May, the world turns its attention to the twin spires of Churchill Downs for the high-stakes excitement of the "greatest two minutes in sports," the Kentucky Derby. No American sporting event can claim the history, tradition, or pageantry that the Kentucky Derby holds. For more than 130 years, spectators have been fascinated by the magnificent horses that run the Louisville track. Thoroughbreds such as Secretariat and Barbaro have earned instant international fame. Jo Anne Normile was not supposed to keep the foal, an exuberant Thoroughbred with only a few white hairs on his reddish-brown forehead. But she fell in love with the young horse, who had literally been born into her arms. The breeder finally said she could keep the colt, whom she nicknamed "Baby" - but only if she raced him. It was difficult to take Baby away from the safety of his pasture. But Normile had made a promise. Excellent book! Worth reading or listening to it. 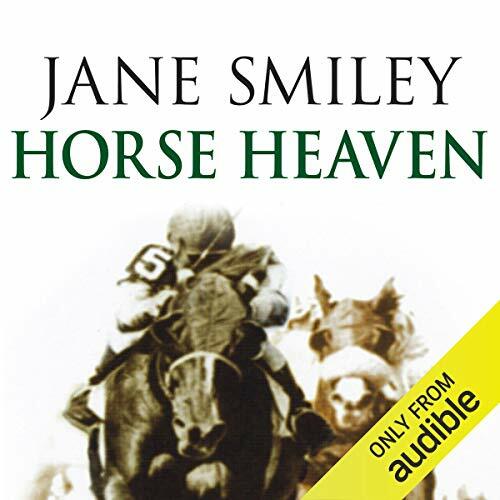 ©2014 Jane Smiley (P)2014 Audible, Inc. The book is very enjoyable -- and I'm only 1/2 finished. But the narrator can be quite distracting. Doesn't anyone "proof-listen" these? How can a professional narrator pronounce khaki "cocky" -- let alone the mangling of anything that's not strictly Anglo Saxon??? It took me a while to realize where/what "La Joe La" is. Despite this, I'm loving the book. In summary, 5 stars for the book and 2 stars for the narration, but the book outshines the puzzling pronunciation. I thought this book was most exceptional. I keep wanting to listen to each part over and over for more intense visuals. This book is one of my favorite. Major kudos to Smiley as I feel she has given a wonderful gift to my imagination. Oh! Wait, I'm not done! One more thing about reader Shelley Thompson! How does someone get to be an audiobook reader without knowing how to pronounce "pico de gallo," "La Jolla," or "Maryland"? It is difficult to restrain the amount of praise this book deserves. This is, in my opinion, the finest of this award-winning author's novels. It is amusing, touching and engrossing. 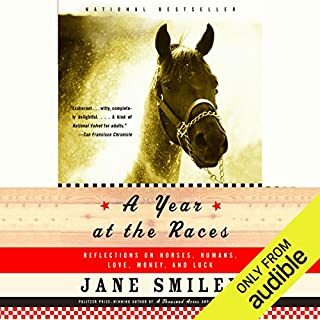 Not only for those who are intrigued by the world of thoroughbred racing, the character development is extraordinary and the individuals as well as the animals are finely drawn. The way the author makes you like and understand her characters is the more surprising as the cast is quite a large one. This is one of those tales you never want to end, and I can't recommend it enough. I was put off by previous reviews where they stated that the narrator mispronounced a lot of the words. As I am not an America, I didn't know what the real pronunciation should be of various place names so it did not bother me. I found the narrator lively and easy to listen to. I loved the story immensely, particularly how the animals were included as characters bit not overly anthropomorphised. 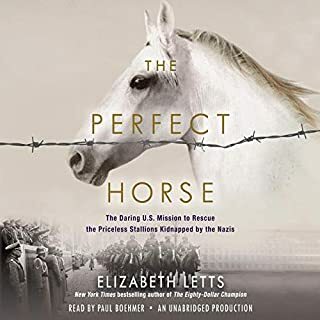 I am usually very happy with the voice and reading style chosen to represent the narrator's voice, but in the case of Horse Heaven, I was not. I know this book well and love it, and perhaps that is why I was so disappointed with this reader, Shelley Thompson. 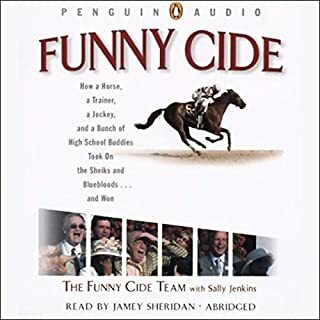 Her accent, the rhythm of her speech, her obvious lack of knowledge about horses, all combined to make it impossible for me to listen to this book beyond the first half hour or so. She emphasizes the wrong things in phrases well-known by horse people and it is very jarring. I would not recommend this book to anyone, not to someone who knows this book, or someone who does not know this book. Go and read the book yourself. It is a masterpiece, in my opinion the best thing that Jane Smiley has written to date. Skip this audiobook. The lowest rating I could give was 1 star. Really got into a real horse person's mind. Some misses on horse terminology, but only a few. Wonderful story line. Yes, I would and have recommended this book. 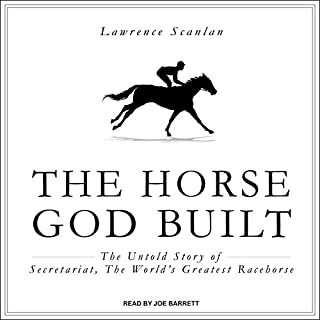 What other book might you compare Horse Heaven to and why? It made you laugh and cry. I own and love horses and it captured the feelings I have everyday. This book was fantastic!! I thought it was one of the best reads I've had in a while. Shelley Thompson was very entertaining to listen to and she made each and every character come to life. There were a few mis-pronunciations, but all in all, she did a fantastic job. I, being a huge horse lover, was able to identify with and understand the contents of the different stories told for each character. One of my favorite characters was Joy Gorham and her horse Mr. T. I can totally relate to her story. A must read for any horse person who enjoys listening to the animals' point of view. Loved it!! If you could sum up Horse Heaven in three words, what would they be? "She said" labels. 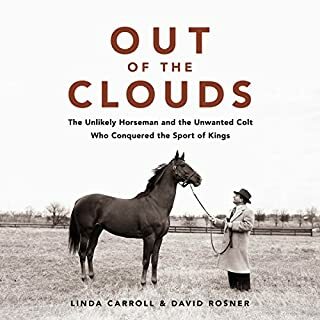 This book has horses and a dog that have their own opinions and points of view. The human characters are even more varied and rich. Every time I read this I am amazed all over again by how the author convincingly presents points of view of men, women, of various backgrounds, races, interests sexual orientation, etc. What does Shelley Thompson bring to the story that you wouldn’t experience if you just read the book? Her Irish accents are very good and some of her other voicings are interesting too. I do object to her pronunciation of Maryland, khaki, and a few other things that I can’t remember at the moment, but that are really odd. If you could take any character from Horse Heaven out to dinner, who would it be and why? I would love to know someone like Farley Jones. He has a spiritual approach to life and to training horses. He successfully maintains his beliefs in various difficult circumstances. And he is a nice guy. The rich portrait of thoroughbred racing from every aspect is amazing. 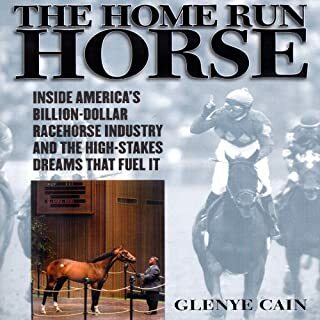 A must reader for any horse lover. . Sad at times, the times. Horse racing is at its high I& lows.